A new survey released last week shows that stress during pregnancy can impair the development of a child’s brain and put it at a higher risk for ADHD, depression, and anxiety later in their life. The problem pointed to the development of high levels of cortisol in the womb. Cortisol is commonly known as the stress hormone and was found to lower toddler’s recorded IQs at eighteen months in a study that included 250 women who were in their 17th week of pregnancy. The study recorded the women’s anxiety levels as were defined on a questionnaire and the amount of cortisol levels that was found in the amniotic fluid of the mother’s pregnancy. 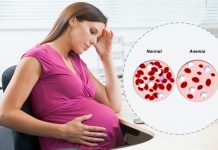 The presence of cortisol is normal during pregnancy as the condition itself is stressful on the body, but when controlled properly the placenta is able to protect the fetus from receiving the hormone. The study will continue onward to test the developing children’s brains with MRI scans, but for now previous experiments prove that stress is capable of reducing the size of a fetus’ hippocampus by about 30%. The hippocampus is the area of the brain responsible for memory and learning. Stress in the mother can also affect the corpus callosum in the fetal brain which connects the brain’s left and right hemispheres and the amygdale which controls the fear response in the brain. 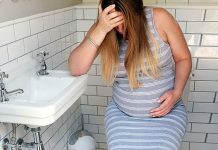 Previous articleHow To Feel Beautiful When You Are Pregnant?